Bluetooth headphones have been around for a while now, but it's taken a few years for their audio quality and pricing to actually attract customers. Ever since Apple released its AirPods, consumer demand for true wireless headphones has shot up. Despite their technological advancements, Bluetooth headphones sometimes suffer from annoying issues. 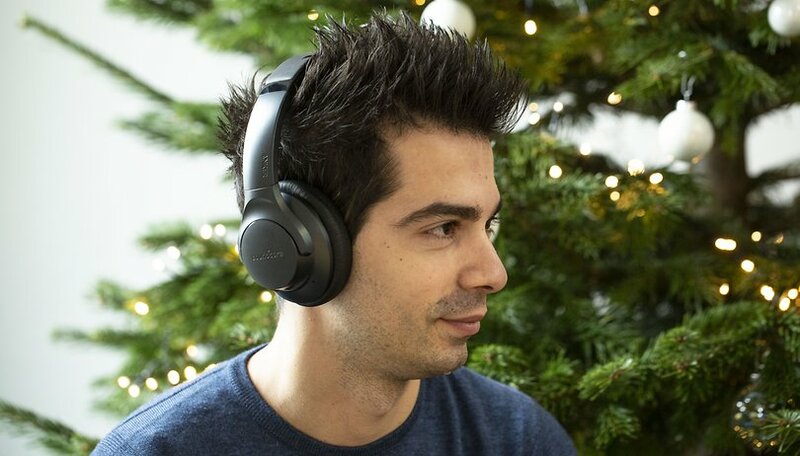 We've had a look at the most common Bluetooth headphone problems and found some solutions. Check to see if you've actually turned on the Bluetooth connection on your phone. It's a surprisingly simple thing to miss. Check if your headphones are compatible with your device and OS. If you’re using an iPhone it should run at least iOS 7, which natively supports “Bluetooth Smart Ready.” If you're on Android, make sure it’s running at least Android 4.3. Make sure your smartphone and headphones are close enough to one another when you want to connect them. While the bulk of Bluetooth devices - especially headphones - have enough range, the best way to ensure they connect is when they are within at least 3 feet of each other. Check the manufacturer's recommended pairing process. Not all Bluetooth headphones will connect with your phone in the same way; sometimes it's as easy as just turning on your headphones, other times it's a bit more complicated. To avoid any issues with pairing your device, carefully read through all the details on what you should be doing. Try turning them off and on again. It's an old method, but let's face it - sometimes it really does work. Turn off or remove any interfering devices. It could be that for some reason your headphones are trying to connect with another device instead of your smartphone. Move away from the Wi-Fi router. It could be that your Wi-Fi router is using the same spectrum as the headphones, and thus causing some interference. Bluetooth headphones will completely replace normal headphones in the next 5 years. There's nothing more frustrating than listening to some good tunes when suddenly your Bluetooth headphone connectivity just drops. Sometimes the Bluetooth connection will cut out completely and force you to reconnect, other times it will drop off for a few seconds before it reconnects. Both are equally frustrating experiences, but come with equally easy solutions. Keep within range of your headphones and smartphone. It's easy to wander around without being tied down to the audio jack of your smartphone, but it's even easier to move out of range. Remove any unnecessary Bluetooth connections. It could very well be that case that your smartphone is “overwhelmed” by the number of things trying to connect to it. Make sure your Bluetooth headset has enough battery power. Bluetooth headphones have a tendency to periodically disconnect when they are low on battery. Try unpairing your headphones and then re-pairing them with your smartphone. Delete any unused or unnecessary Bluetooth connections. Some devices start acting up if there are too many devices in your Bluetooth connectivity list. If this fails, you can try any of the other solutions we've already listed. True wireless headphones only became popular when Apple released its AirPods. Despite having come a long way, Bluetooth technology is still susceptible to interference such as static or crackling noises when you're listening to music. First, you should disable or turn off any other unused Bluetooth devices in the area. If the static doesn't go away try resetting your headphones (you can easily figure this out by referring to the manufacturer's website). Turn on your media player, then disconnect your headphones for 30 seconds and then re-pair them. Reduce the distance between your smartphone and your headphones, as this also helps reduce (or even solve) any static. These are all proven methods of getting around some of the more annoying Bluetooth issues, but this isn't a catch-all list. If none of these troubleshooting methods work, it's best to contact the manufacturer directly. Have you tried any of these methods to resolve issues with your own Bluetooth devices? Are there any we've missed that you think will be useful? Let us know in the comments below. Hello, I bought recently an hbuds h1 headphones, i made some wrong button combination and now they just don't wanna turn on no matter what i do, could you help me please? Using Fineblue FD-55 Bluetooth Headsets connected to Samsung J6 there are many cases in which it will ring only one ring not enabling me to answer the call while the calling party still get ringing back. When disconnecting FD-55 its OK. Can someone comment and give advice on suggest on the help/support e-mail for Fineblue. I don´t like bluetooth headsets. since ever, they are having quality issues and do not working very well. Nowadays, they seem to be a little bit better and some of them are cheaper, but anyway, dont like them and this thinny thing called apple ear pods, come one, the most problems will occur by loosing them ... my opinion. my biggest issue with bluetooth headphones had always been the battery life. Ive been using the jaybird bluebuds x and ive been super impressed with them. Battery life is great and sound are great.